On display at Salone del Mobile 2017 in Milan’s historic Cinema Arti is this interactive installation and multisensory experience created by London-based design duo Studio Swine for fashion brand COS. 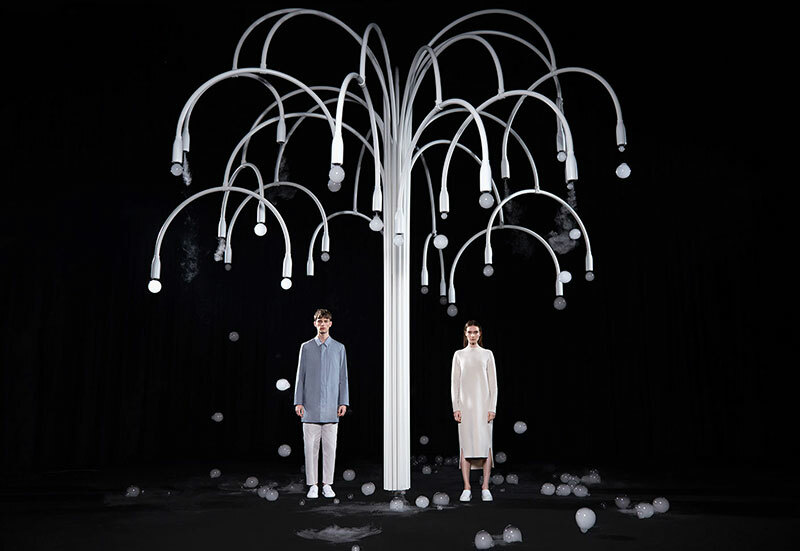 The commissioned piece is a tree-like sculpture that emits delicate mist-filled "blossoms" that disappears on contact with the skin, but can be held by visitors wearing special gloves. The installation was inspired by the cherry blossoms in Japan, which signals the arrival of spring, and also references the ornate chandeliers of Milanese palazzos. Inspired by the famous cherry blossom festival in Japan, the installation is designed to create a special moment that brings people together. A fleeting shared experience that evokes a sense of the changing seasons. Studio Swine (Super Wide Interdisciplinary New Explorers) is a collaboration between Japanese architect Azusa Murakami and British artist Alexander Groves. On display at Salone del Mobile 2017 in Milan’s historic Cinema Arti is this interactive installation and multisensory experience created by London-based design duo Studio Swine for fashion brand COS.